Soren Lau is the General Manager for EMEA and part of the worldwide leadership for the Microsoft IoT Device Experience business. He leads the EMEA regional business and organization responsible for the relationship management and sales performance of the IoT partner ecosystem with the mission to accelerate and scale the repeatable device-to-cloud Windows & Azure IoT solutions with these partners. Prior to that, Soren Lau was the Sr. Director Business Strategy in the Microsoft Global Sales, Marketing & Operations (GSMO) headquarter organization where he led worldwide strategic cross-organizational transformation and change leadership projects across the GSMO organization. 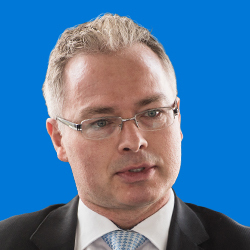 Prior to this role, Soren Lau was Head of Operator Channels in the Microsoft Western Europe headquarter, and led the strategic partnerships with the key Telco/Operator partners across Western Europe, accountable for the all-up area business results measured by revenue, units, share, and scorecard targets. Before this role, he was the Head of Consumer Channels Group in Denmark with the full P&L accountability to define and lead the consumer strategy for the 4 key product areas: Windows, Office, Windows Phone and Xbox. He was responsible for defining the business and investment strategy to meet and exceed all revenue, units & share goals. Prior to that, Soren served as the General Manager for OEM Product Marketing for Microsoft Corporation and was responsible for defining and implementing the Product & Channel Marketing strategies for OEM worldwide. He also successfully drove the OEM division’s representation at all key industry events, defined and led the strategy for ‘Hardware Selling’, and delivered all relevant tools to drive WW field enablement, including the creation of the Featured PC program (now Featured Devices). From 2004-2007, he drove the Windows business both as the Competitive Strategy Manager for EMEA as well as the Windows BG Lead for Western Europe HQ. From 1998-2004, he worked in various OEM Sales roles starting in Denmark as OEM Account Manager and moved into OEM sales leadership as the Sr. Group Sales Manager for the Nordic & Baltic region. Soren Lau has been in the IT industry for 22 years, working for Oracle prior to joining Microsoft in 1998. After returning from Seattle in 2011 Soren Lau lives in Copenhagen with his family. Outside of work, he is a passionate long-distance runner and an avid skier. 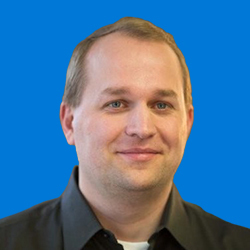 Christoph Berlin is the Principal Group Program Manager and business owner of Manufacturing in the Azure IoT Engineering at Microsoft Corporation. 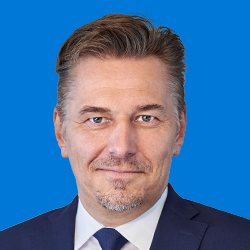 His team is responsible for product management, strategic engagements and growth for the Manufacturing vertical including: Discrete and Process Manufacturing, Industrie 4.0, China 2025 and other initiatives around Industrial IoT, the Intelligent Cloud and Intelligent Edge. He also manages strategic customer/partner engagements for all of Azure IoT across verticals and is responsible for business growth. Christoph and his team has been instrumental to drive digital transformation in many German manufacturers. Before joining Microsoft, Christoph was VP of Product Management for various startups, including hopTo Inc., a leader in mobile productivity solutions. Prior, Christoph was a member of the XenSource Ltd. senior staff, a virtualization startup (XEN hypervisor) where he was responsible for OEM partner development and strategy. Christoph holds a master’s in computer science and communication from Darmstadt University, Germany. 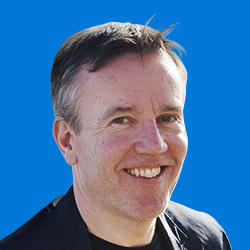 Ken Woodberry is Deputy Managing Director of Microsoft Azure Sphere with primary responsibility for developing the silicon ecosystem for Azure Sphere. 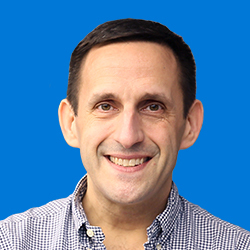 Previously, Ken was Deputy Managing Director at Microsoft’s Cambridge Research Lab with responsibility for the lab’s business-facing activities, including technology transfer, incubation, licensing, spin-outs, and other models for utilizing the intellectual property generated by the lab’s research groups. In addition, Ken headed the Computer-Mediated Living research group which he founded in 2003 and which grew to include both the Sensors and Devices group and what became the Human Experience and Design group. CML’s vision was fundamentally interdisciplinary, bringing together hardware engineering, computer science, psychology, sociology, and design to address the problem of designing innovative technology to support everyday life in its widest sense. Ken’s personal research interests include human-computer interaction, information retrieval, digital media management, and ubiquitous computing. He has numerous publications in these areas and holds several patents. Ken joined Microsoft in September 2002 from RealVNC, a start-up he co-founded with colleagues from AT&T Labs Cambridge. Previously, in his seven years at AT&T Labs, Ken led research in the areas of multimedia information retrieval and communications and was involved in the incubation and business planning of a number of projects that were spun out from the lab as successful independent companies. Earlier posts include several years as an academic at Oxford University, three years at Nortel Networks, and a year’s sabbatical at the London School of Economics. Ken is a Fellow of the British Computer Society, a Fellow of the Institution of Engineering and Technology, and he sits on the Board of the Cambridge Network. He holds a doctorate in Computation from Oxford University and an AB in Applied Mathematics and Economics from Harvard University where he was elected to Phi Beta Kappa. Jürgen joined Microsoft in 1990. In Windows Program Management he helped shape Windows releases over almost a quarter century. Moving into an Architect role in Microsoft Services he began connecting 'things' to the cloud, planning and delivering industrial IoT Solutions. In the Partner Devices and Solutions Ecosystem team, he is now enabling partners to build innovative IoT solutions secured from the chip to the cloud. Maarten Struys is an IoT Solution Architect at Microsoft. 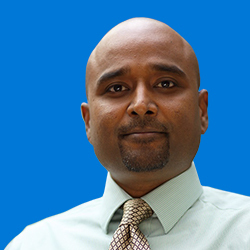 In his current role, he works with IoT ecosystem partners, mainly in EMEA, enabling them to build repeatable IoT solutions and to connect edge devices securely to Azure. Before moving into a technical sales role, Maarten was a software developer. 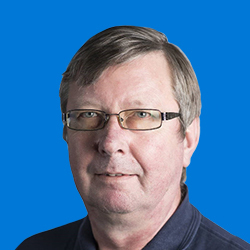 He has been working with many different versions of the Microsoft Windows Operating Systems for over 25 years, building embedded and mobile solutions with a focus on the Industrial Automation and Healthcare verticals. Oliver Niedung grew up in Hannover, Germany, had various object-oriented software development roles before and after finishing his degree of Medical Informatics at the University of Hildesheim. He then moved into a sales role at Visio, which was acquired by Microsoft in 1999. 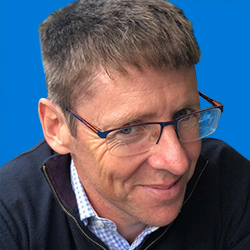 At Microsoft, Oliver managed the Embedded Server sales team in EMEA until 2015, when he became an IoT Principal, driving device and cloud IoT transformation with the key strategic partners in EMEA. 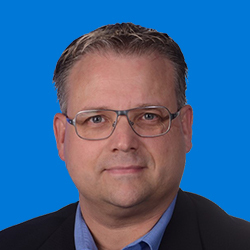 David Lemson is Director of Program Management (PM) for the Windows Core STACK team, which drives the Windows IoT business and delivers networking (mobile, desktop, and datacenter) and peripherals (printing, retail POS) across Windows platforms. Previously, David was a Director of PM in Windows Phone, managing areas of the Phone product at the hardware/software boundary. Before joining Windows Phone, David was a PM, GPM, then General Manager in Microsoft’s Exchange group since 1998, in areas such as routing/transport, system management, and client access. Prior to Microsoft, David was a Research Programmer with the academic computing office and graduated with a B.S. in Computer Engineering from the University of Illinois at Urbana-Champaign (UIUC). While at UIUC, he ran several student and staff directory and security systems as well as the student/staff e-mail systems. 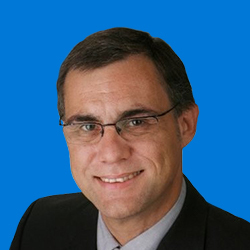 Martin Grossen has more than 25 years of experience in embedded / IoT systems. After the B.Sc. (HTL) graduation in Biel (Switzerland), Martin worked as a development engineer in the industrial PC market. With several years of hard- and software experience, Martin changed the side to distribution. He has been involved as an FAE in numerous Windows IoT designs and received the decoration of the 'Microsoft FAE of the year 2000' beside of the 'Microsoft MVP' award 15 years in a row. Now, Martin acts as the Microsoft Windows Embedded / IoT supplier manager and technical expert for AVNET Silica in Europe. Whenever AVNET is presenting Windows Embedded / IoT solutions at events or conferences, you are likely to see him there. 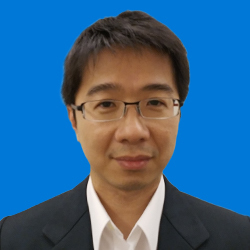 Richard has five-year experience on AIDC (Automatic Identification & Data Capture) and IoT industries. Now he is a deputy sales manager of Askey Computer and responsible for the sales of Askey’s wearable and mobile computing products at Askey for the European, US, and Asian markets. He specializes in providing integrated solutions with Askey’s products and Microsoft solutions to help customers’ workflow more accurate, efficient, and productive. As Head of IoT, Ivan drives and manages the strategic development of the IoT practice within Action Point, growing revenues, developing IoT products and solutions, forging and managing key tier one channel EMEA partnerships with Dell, Microsoft, Intel, and Avnet. How do you accelerate IoT and optimize opportunities to grow revenue and profitability? Success in IoT requires a mindset in innovation, in business model and in partnership. Søren Lau, General Manager EMEA IoT Device Experience at Microsoft, will share how Microsoft is enabling partners across the IoT value chain to design, build and scale repeatable IoT solutions from edge to cloud.